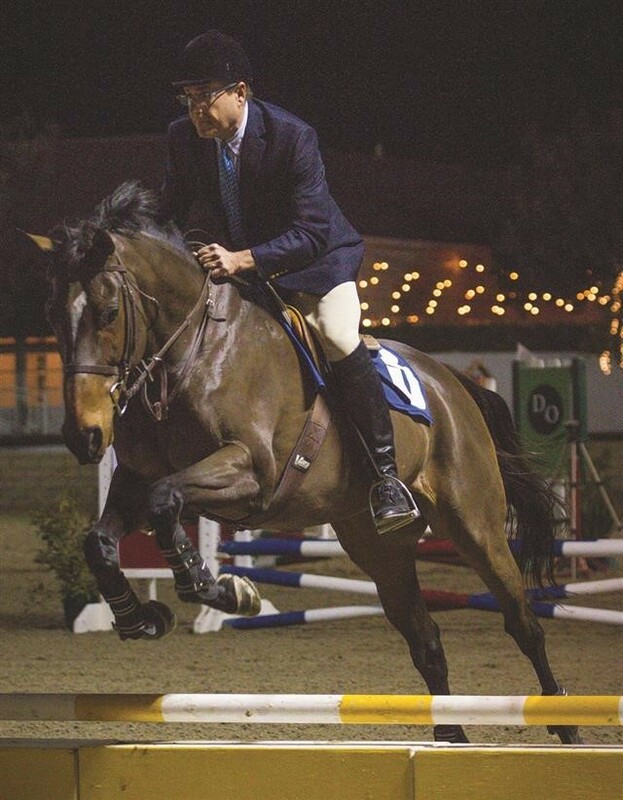 ARCADIA, (Dec. 3, 2018)—The California Retirement Management Account (CARMA) will stage its annual two-day Thoroughbred Holiday Classic this Saturday and Sunday at the Los Angeles Equestrian Center in Burbank. In addition, the Calcutta, where jockeys and trainers will be featured on horseback, will be held Saturday evening at 5:30 p.m. Held annually since 2011, the event which raises awareness to help CARMA rehabilitate and place retired Thoroughbreds, gets underway on Saturday at 8a.m. This year’s Thoroughbreds-only show will include two horses that survived the devastating fires which engulfed San Luis Rey Downs a year ago and will again feature a jumping competition for race track trainers and jockeys on Saturday evening. This competition will be supported by several members of the Southern California Thoroughbred community, including top trainer John Sadler, conditioner of recent Grade I Breeders’ Cup Classic winner and Horse of the Year candidate, Accelerate. Sadler, an accomplished equestrian in his own right, has competed in every Jockey and Trainer Calcutta since the inception of the competition in 2013 andhis team of fellow trainers remains undefeated. “This is obviously for a great cause,as CARMA is doing wonderful things in terms of placing retired Thoroughbreds in good homes and really, bringing much joy to those folks that adopt them,” said Sadler, who is believed by many to be a leading candidate for racing’s Hall of Fame in the near future.